A collaborative multi-hospital recycling project between the Healthcare Plastics Recycling Council (HPRC) and the Plastics Industry Association (PLASTICS) has been completed in the Chicago market. 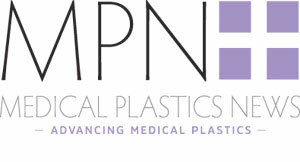 The project aimed to address the issues surrounding the use and recycling of plastics used in the healthcare industry. HPRC and Plastics aimed to introduce a viable recycling model for healthcare plastics, the focus being on non-infectious plastic packaging and products collected from clinical areas of the hospitals. Plastic materials in hospitals are currently difficult to recycle in an economically viable way due to the material failing to represent enough value to attract the attention of recyclers. The project brought together multiple hospitals in an attempt to overcome this issue. Plastics primarily from main operating rooms and ambulatory surgery centres were collected and then transported by waste haulers to material recovery facilities (MRFs) for processing, or transferred to specialised plastics recyclers. The project was a success in many areas, such as defining the relative quantities of material types and understanding the complexity of sorting the materials once collectively amassed. The highest volume of material collected was sterilisation wrap and as such, the material was evaluated as a viable substitute or supplement for virgin resins in product manufacturing. Other packaging materials such as film plastics, as well as rigid plastic packaging were also collected. The team were also successful in testing the potential to demonstrate value through energy conversion and chemical recycling, showing that value can still be realised through other recovery processes. Participating hospitals included Advocate Illinois Masonic Medical Centre, and NorthShore University HealthSystem’s Evanston, Skokie and Glenbrook Hospitals.